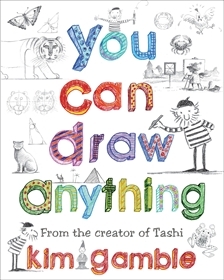 Created by Kim Gamble, the much loved illustrator of the Tashi series, this appealing paperback reprint is both entertaining and highly informative. Despite the apparent ease with which he draws, the humour and character in each image makes it clear that we are in the hands of a true talent. Designed for children from eight to twelve, the dedication for this book reads: ‘For Mum, who kept me supplied with pencils and paper.’ Any parent of a budding artist would most likely already be following the lead of Kim Gamble’s mum, but they would do even better to add this book to the supplies.